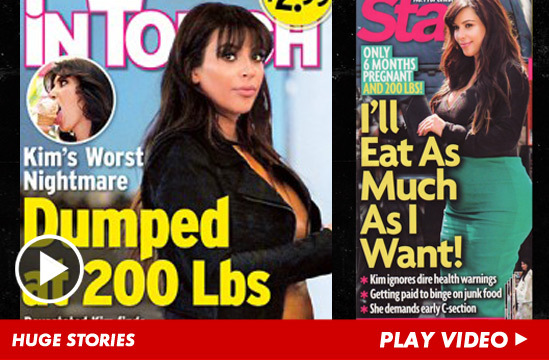 Kim Kardashian is a 200 lb monster who's shoveling down so much junk food ... she got dumped by Kanye West -- according to some ridiculously creative magazines, anyway. See, pregnancy can be entertaining! Unless you're Kim.